You’re getting married! Congratulations on such an exciting time! We here at Legends cannot wait to help you celebrate this milestone. 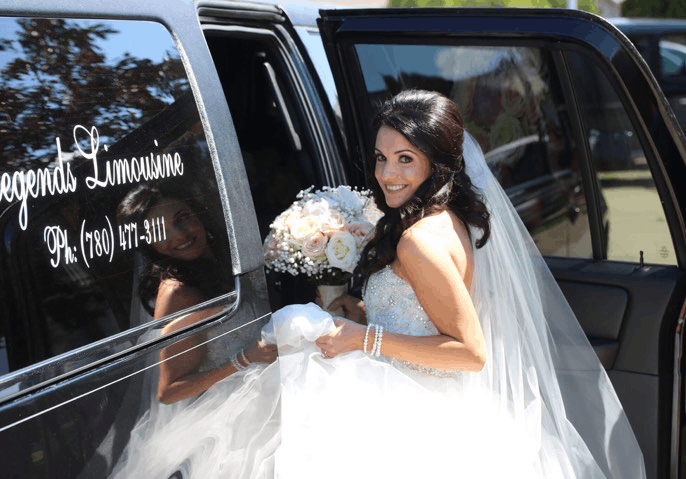 We understand the importance transportation plays on your wedding day, and are committed to providing you with the absolute best service from start to finish. With our impressive fleet, we have the perfect limousine to chauffeur you and your bridal party to your wedding in comfort and style, and most importantly stress-free. 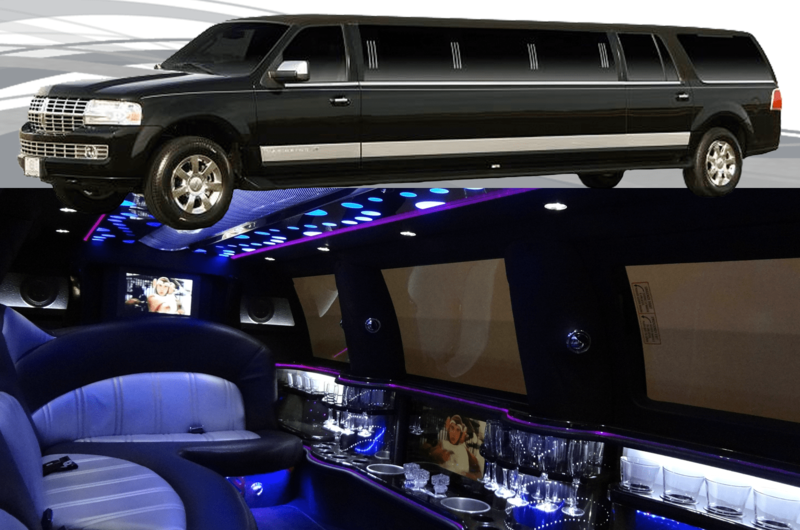 From our 10 passenger Lincoln Town Cars or the 14-16 SUV stretches to the 21-30 passenger Luxury Limousine Coaches we have the right limousine for your special day. A successful marriage requires falling in love many times, always with the same person! Congratulations, you made it! Hats off to you! 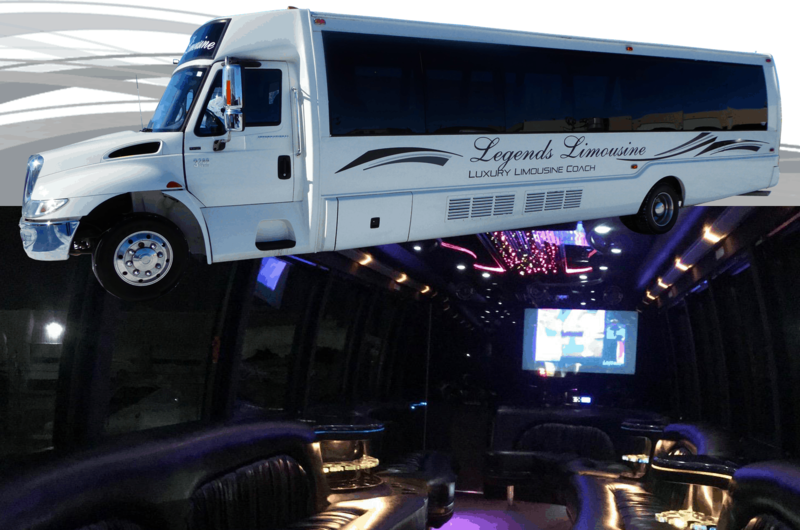 Legends Limousine cannot wait to help you celebrate your graduation day in class and style. We are honored to be a part of such an important day. Graduation is an event you’ll remember for the rest of your life, and we are committed to making your event memorable. 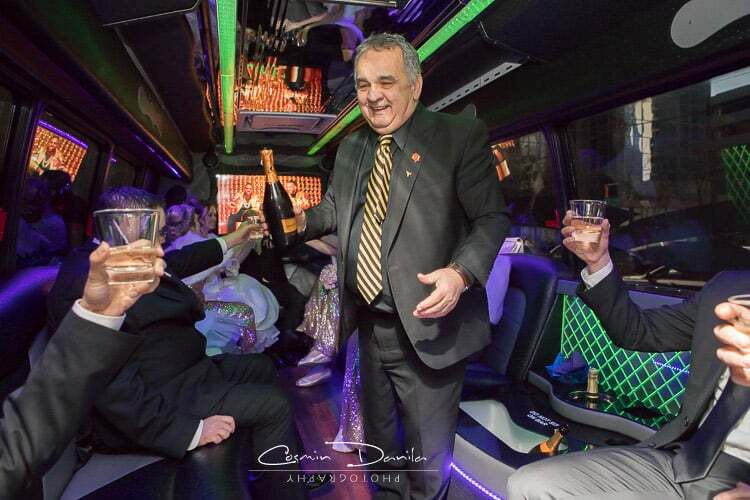 With a wide selection of meticulously maintained limousines that include 10 passenger Lincoln Town Cars, 14 passenger Navigator, 16 passenger Excursion and the Limousine Coaches that fit 18-30 passengers, our fleet is sure to accommodate your entire group with ease. 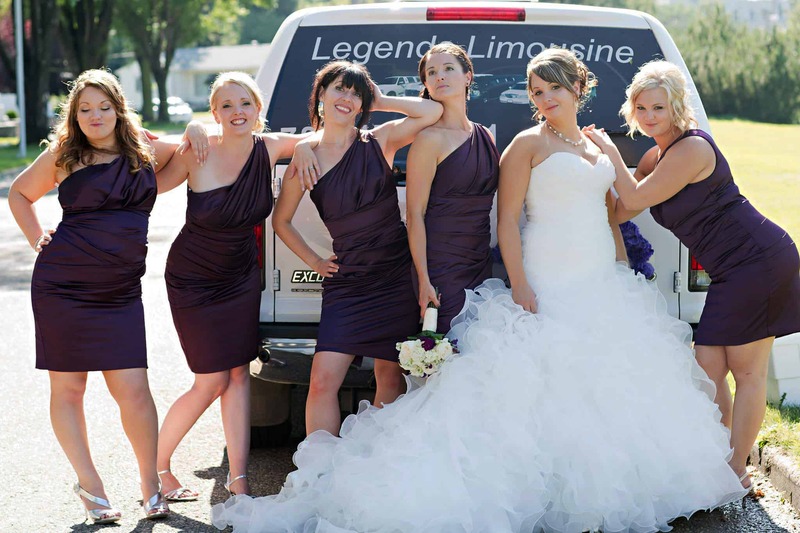 Celebrate your special event, big or small, with Legends Limousine. Whether it’s a birthday, anniversary, bachelorette, new job, promotion, concert, sporting event or “just because” - we here at Legends are committed to making your occasion as memorable as possible. With over 14 years experience, our reservation specialist will help you plan your event with confidence so you can simply sit back and enjoy this special moment in style and comfort. 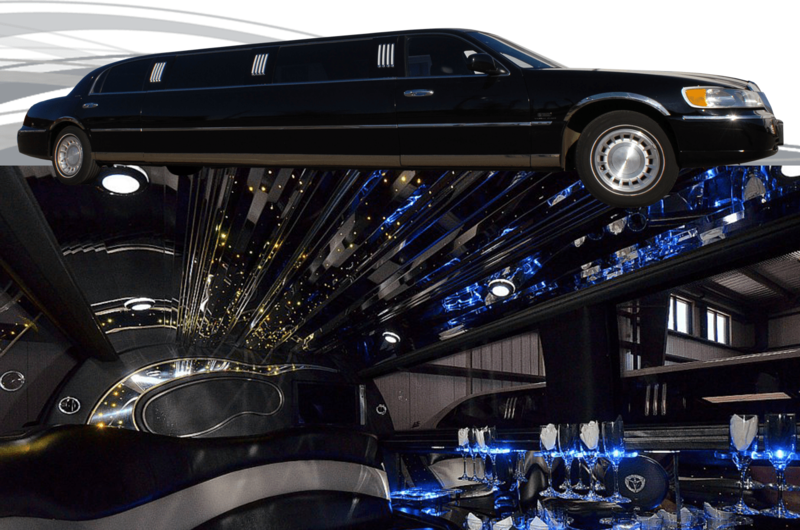 The Orleans Lincoln Town Car is your sleek black limousine. With its two toned interior and mirrored ceiling it makes you feel like being at Mardi Gras! The Icon Lincoln Town Car has a rose wood grained console full length mirrored ceiling. It's dressed to impress and is right for any occasion! The "Millennium" up to 30 passenger Luxury Limousine Coach ride with Glamour for every occassion! The Commander the Boss of the Luxury limousine Coaches. 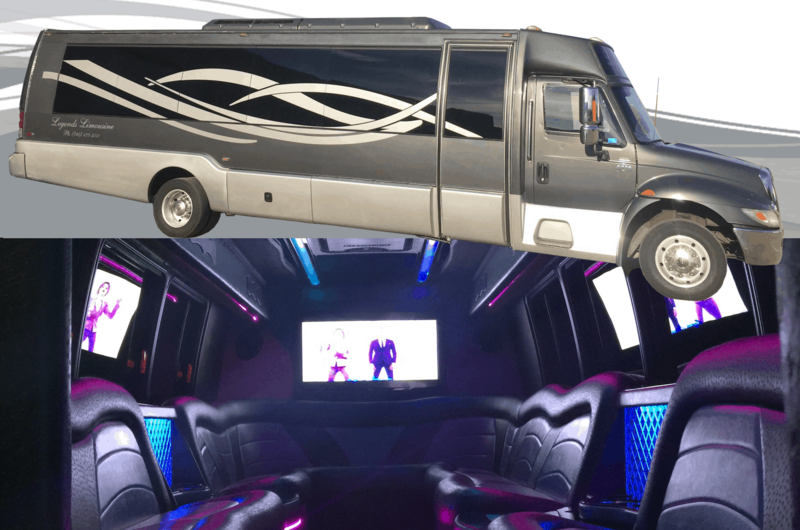 From its hardwood floor to its mirrored ceiling, The Commander is the “WOW” factor to any event! The Evolution Navigator has a beautiful two toned interior. It’s the glamour all the way. When you want to make a point this is the exclamation mark. Just a quick note to say thank you and let you know that we all had a wonderful time at my son's birthday party. A limo ride was a great way to arrive in style and everyone - especially the grandparents - had a good time. Jeff was an incredible host and we just can't say how much it was appreciated. It is difficult to arrange things from a distance but you made it seem so easy. Eric's younger brother was very impressed so you never know, we may need your services again! Dear Suzan - I wanted to let you know we were very pleased with the legend limousine both the service (driver) and car. Thank you for being part of our special day. Best wishes. I was in a wedding party on July 17 and the couple used your services. Our driver was Tony, and I just wanted to tell you what a great job he did. He even stepped up to install a boutenier (spelling) on a groomsman. I just wanted to say thank you for everything! We had a great time in the limo on Saturday night and Mike was a great driver! So thanks again!! We take this opportunity to thank you and your staff for outstanding service and treatment. Everything Suzan recommended and promised came to fruition. You certainly know your business! Tony was a fabulous driver and chauffeur who added character to our experience. We will use you again and will recommend to anyone in need of tremendous limo service. I wanted to thank your company for such wonderful service on Saturday night, we all had such a wonderful time, and I sure hope I am given the opportunity to use your service again! Just wanted to thank your company for the great service of the limousine rental for our wedding on Aug 16. Everything went great on our wedding day with the limo. The driver was excellent too!!! We will definitely recommend you to other people! On behalf of Dave and myself, we wanted to extend a huge thank you for the service of our wedding. Tony was absolutely amazing and we had a fantastic time in the limo and during photos. Our day wouldn't have been complete without it. I just wanted to follow up and say a huge thanks !! Our bachelorette was a solid success!! Our driver Bill was fantastic! He was not only a gentleman to the ladies, he was majorly accommodating and kept us safe the entire night! I would no doubt call you guys again! Thanks a bunch! I'm sorry I didn't send this note last week but I just wanted to tell you the boys were in fact treated like kings and they couldn't say enought good things about your driver and the service they received. You can appreciate how happy I was when Taylor told me that everything was perfect! They are already planning their next adventure to Edmonton so I'm confident we will be calling again. Thanks so much - you are the best! How wonderful, Oliver was there early (we actually saw him outside as we slipped over to Zellers to make a last minute purchase), the limo was FIRST CLASS. We were thrilled, Oliver was the ultimate driver, so professional and courteous, he made us feel very special! He's definitely an asset to your business. The kids had an awesome time July 28 for their grad thank you for everything and thanks to Jeff made it memorable for the kids!